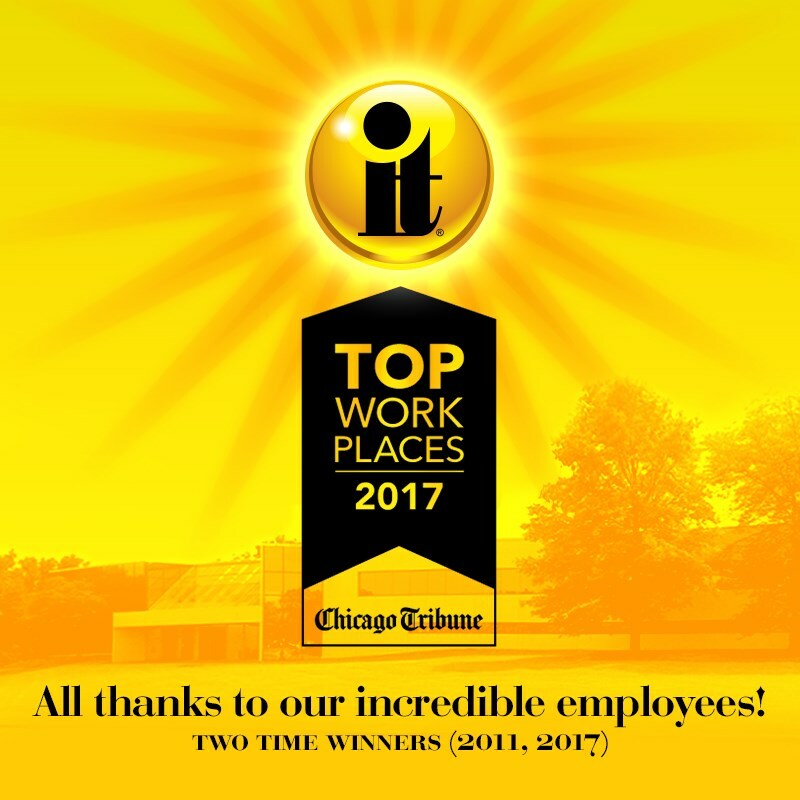 (VERNON HILLS, IL, November 10, 2017) – Incredible Technologies (IT) has received an honorable mention in the 2017 Top Workplaces list published by the Chicago Tribune. This recognition measures and compares several aspects of workplace culture including alignment, execution, and connection, to name a few. The Top Workplaces lists are based solely on the results of anonymous employee feedback administered by a third party that specializes in organizational health and workplace improvement. The 2017 survey results make IT a two-time recipient of the award, previously earning Top Workplace recognition in 2011. President & CEO Elaine Hodgson and Executive Vice President Richard Ditton founded IT in 1985 as a third-party software and hardware development company, and have since grown the business into a leading manufacturer of both coin-operated amusement games and casino video slot machines. With a workforce now over 200 strong, both Hodgson and Ditton strive to maintain IT’s unique workplace environment and positive corporate culture. The survey was administered by Energage, LLC, a leading research firm specializing in employee feedback and workplace improvement. This year alone, more than 6,000 organizations will participate in the Top Workplaces™ campaign, partnering with prestigious media partners across the United States. IT also received workplace recognition as one of the National Association for Business’ Chicago’s 101 Best and Brightest Companies in 2008, 2009 and 2010. Incredible Technologies is a Class-III gaming manufacturer focused on delivering compelling video slot content to the modern day casino floor. The company is located in the Chicago suburb of Vernon Hills, Illinois and specializes in the design and development of digital entertainment products to game operators and players. Incredible Technologies is the largest manufacturer of coin-operated video games in the United States with its flagship product, Golden Tee® Golf, recognized as the most-successful pay-to-play video game in history. Incredible Technologies is an associate member of the National Indian Gaming Association, Association of Gaming Equipment Manufacturers and is a certified Women's Business Enterprise.